Engineering Technology is and always will be a growing field. It is what sparks innovation in the manufacturing industry and drives economic success. Eastern Iowa Community Colleges recognized this and sought a Department of Labor grant that aimed to teach engineering concepts in an innovative way. Enter Lucid Way; an online training and elearning company in Moline, IL. Owner at Lucid Way, Tim Hunter explained that “It’s a capstone project of everything we do as a company. Projects like this are challenging, creative, fun, and rewarding. By helping a person or school with these hard to understand topics in engineering, we are in a lot of ways helping our own future.” Lucid Way was an integral part of designing the online instructional delivery at the college. The project takes simple STEM (Science Technology Engineering and Math) subjects that are normally taught with a chalkboard or a book, and transforms them into an interactive 3D model that explains the inner workings of various engineering technology topics. 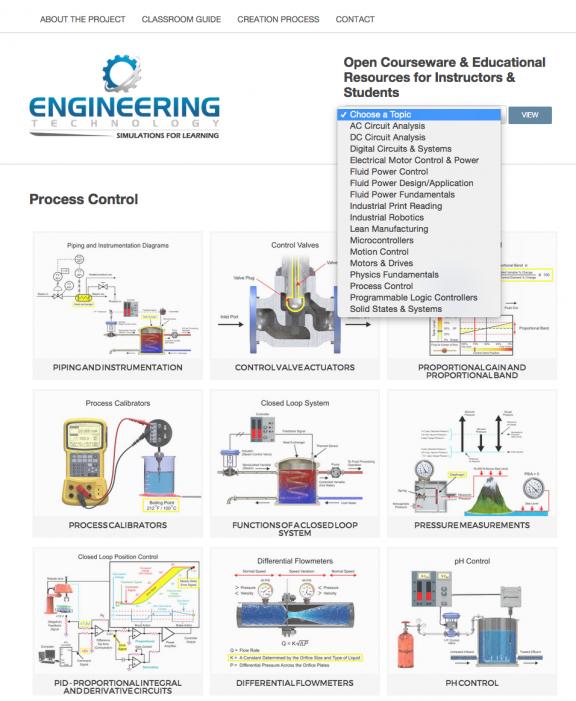 The website http://engineertech.org has over 150 simulations that can be downloaded or embedded into a learning management system, website, or be viewed on a classroom project. Everything is free and is available under a Creative Commons license. The engineer technology website offers over 150 engineering simulations and is free to use and distribute.